The General Assembly is composed of the members of the Network. It meets at least once per calendar year and is convened and presided by the President. The General Assembly is endowed with all the powers necessary to achieve the aims and objectives of the Association. The President, the Executive Board, the committees and ad hoc working groups report to the General Assembly. 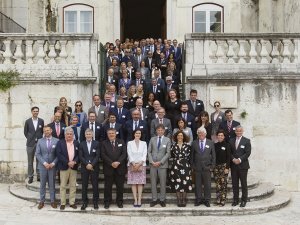 2018 - The General Assembly was hosted by the CSM of Portugal in Lisbon, from 30 May - 1 June. The general theme was: "leading positive change". The Lisbon Declaration was adopted which states that Councils for the Judiciary should initiate and lead a process of positive change. It focuses on two aspects: the internal aspect in the sense of the engagement of stakeholders and in t he external sense of the judiciary's relationship with other state posers and strengtening the role of the judiciary within the State. The Declaration also contains paragraphs that deal with the situation in Poland and Turkey. At the first ever organized ENCJ market nine Members and Observers of the ENCJ presented their best idea which has been succesful and has led to positive change. A wide variety of ideas were presented in a traditional market setting. The Judicial Council of Lithuania won the ENCJ Award for Positive Change with their #courtscare programme. The Supreme Judicial Council of Bulgaria was a very close runner-up with their programme called Open Courts and Prosecutor’s Offices. Mr. Kees Sterk, member of the Netherlands Council for the Judiciary, was elected to succeed Ms Nuria Díaz Abad as President of the ENCJ. His mandate started on 1 June 2018 and last two years. 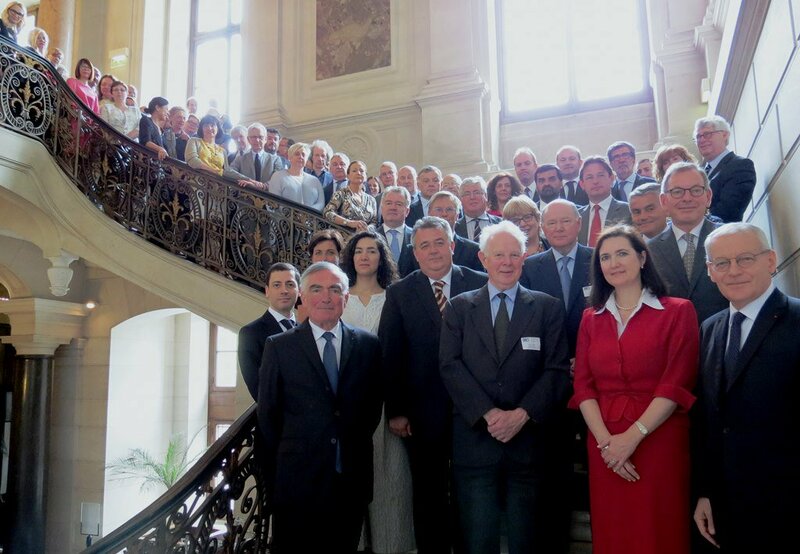 The Hoge Raad voor de Justitie (HRJ/CSJ) of Belgium, the Consiglio Superiore della Magistratura (CSM) of Italy, the Judicial Council of Lithuania (TT) and the Consejo General del Poder Judicial of Spain were elected into the Board for two years. The Dutch, Romanian, Scottish and Slovenian Councils for the Judiciary ended their mandate as Board member. 2016 - The General Asssembly was held in Warsaw from 1-3 June and hosted by the Krajowa Rada Sądownictwa. The general theme was the future of justice in Europe. The Warsaw declaration was adopted in which the ENCJ amongst others recognises that the administration of Europe’s justice systems in the 21st century will change radically as a result of the use of information and communication technology. It looks forward to the use of online dispute resolution and other technologies to deliver justice more effectively and quickly and at lower cost to all European citizens. It will still be essential for the ENCJ and its members and observers to maintain and strengthen the independence and accountability of judiciary for the benefit of European citizens in order to ensure that they have effective access to justice. In relation to the developing situation in Poland, the ENCJ emphasises the importance of the executive respecting the independence of the judiciary, and only undertaking reforms to the justice system after meaningful consultation with the Council for the Judiciary and the judges themselves. The General Assembly also welcomed two new Members; the Greek Supreme Judicial Council of the Civil and Penal Justice and the Greek Supreme Judicial Council of the Administrative Justice, and elected Nuria Díaz Abad as the new President for a mandate of two years. 2015 The General Assembly met in The Hague and was hosted by the Dutch Raad voor de rechtspraak. The general themes was "promoting effective justice systems". Ms Vera Jourova gave a keynote speech as wel as Ms Eleanor sharoston, Advocate-General in the Court of Justice of the EU. 4. The ENCJ will endeavour to identify elements that constitute a quality justice system and subsequently develop indicators that will assist in the evaluation of the measurement of the quality of justice with a view to its enhancement across the EU and in candidate member states. 2014 - From 11-13 June 2014 the General Assembly met in Rome to celebrate its 10th anniversary.The 10th annniversary celebrations kicked-off with a reception at the Quirinale Palace hosted by the President of the Republic of Italy, Mr Napolitano, who is also the President of the Consiglio Superiore della Magistratura. All former Presidents of the ENCJ were also present and addressed the General Assembly. The ENCJ Rome declaration was adopted. The Declaration states that in its first 10 years, the ENCJ has achieved its principal objective of improving cooperation and mutual confidence between the Councils for the Judiciary and the judiciaries of EU member states and candidate member states. The ENCJ plays a crucial role in the maintenance of judicial independence, which is as much a central protection for the rights of citizens of Europe in 2014 as it was in 2004. Looking to the future, the ENCJ will continue to strive the improvement of timely and effective delivery of independent and high quality justice for the benefit of all the citizens of Europe by upholding the importance of independent Councils for the Judiciary, cooperating with the European Commission specifically in relation to the Justice Scoreboard and improving the independence and accountability of the judiciary across Europe. 2012 - The General Assembly took place in Dublin Castle, Ireland on 9-11 May 2012. The General Assembly adopted the ENCJ Dublin Declaration (EN/FR) by which the Members adopted standards and indicators regarding the recruitment, selection, appointment and promotion of members of the judiciary and the competent body. The ENCJ Members also agreed to aim for compliance wiht these standards and indicators within their own organisiation and to promote these standards actively witin the judiciary and towards the other relevant authorities. A number of other recommendations were also adopted on the topics of Judicial Reform and the relations of the Judiciary with Society and the Media (summary of all main recommendations adopted by the General Assembly). 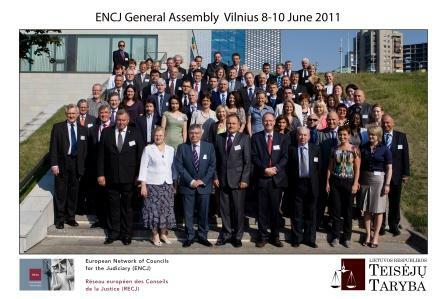 2011- The IXth General Assembly was helt in Vilnius, Lithuania 8-10 June 2011. The general theme of the meeting was "challenges and opportunities for the Judiciary in the current economic climate". The Vilnius Declaration was adopted which lists a set of recommendations for the judiciaries of Europe on how to respond to the actual challenges and opportunities they are facing. 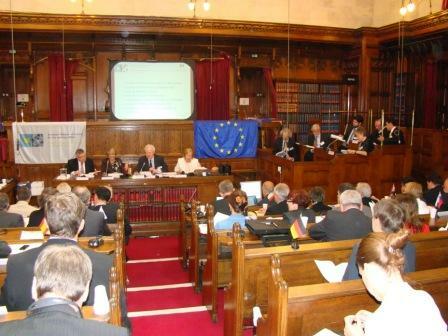 2010 - In 2010 the General Assembly meeting was helt in London at the Royal Courts of Justice. The London declaration was adopted that approved the ENCJ report "Judicial Ethics - Principles, Values and Qualities" and proposes that ENCJ Members and Observers should actively promote the content of the report. 2008 - General Assembly in Budapest. The Budapest declaration on Self-Governance for the Judiciary was adopted.